This property is a 9-minute walk from the beach. Featuring spectacular views over the town, lake and mountains from every room, Balmoral Lodge offers free Wi-Fi and a spacious guest lounge. Queenstown city center is just 801 m away. 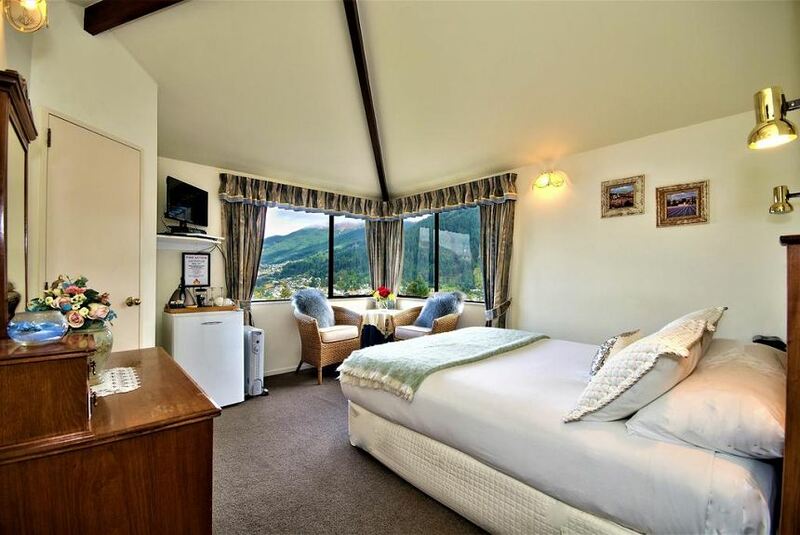 Balmoral Lodge Queenstown is decorated with elegant furnishings, antiques and fine art on the walls. Each room is furnished with large comfortable armchairs, a TV, DVD player and refrigerator. Coffee/tea making facilities are provided. The spacious private bathrooms have a shower over the bathtub. Some rooms have spa baths. Luxury toiletries and bathrobes are included. Queenstown International Airport is a 10-minute drive away. It is a 5-minute drive to the Skyline Gondola and 20 minutes’ drive to the Coronet Peak Ski Field.